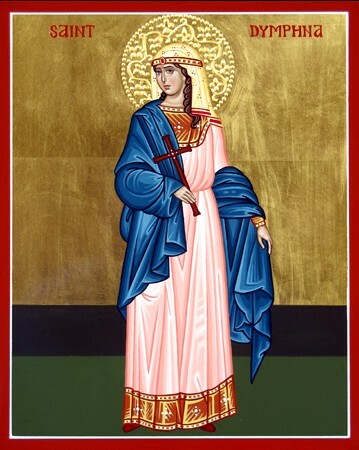 St. Dymphna was born in the 7th century, when Ireland was almost universally Catholic [=Orthodox]. Yet, strange to say, her father, a petty king of Oriel, was still a pagan. Her mother, a descendant of a noble family, was, on the other hand, a devout Christian, who was remarkable both for her piety and her great beauty. Dymphna was, like her mother, a paragon of beauty, and a most sweet and winning child, the “jewel” of her home. Every affection and attention was lavished upon her from birth. Heaven, too, favored the child with special graces. 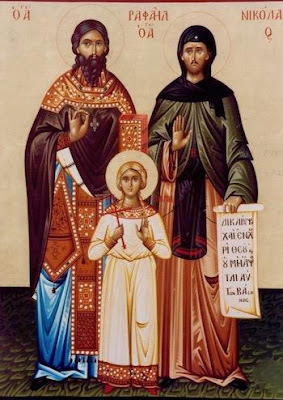 Dymphna was early placed under the care and tutelage of a pious Christian woman, who prepared her for baptism, which was conferred by the saintly priest Father Gerebran. The latter seems to have been a member of the household, and later taught little Dymphna her letters along with the truths of religion. Dymphna was a bright and eager pupil, and advanced rapidly in wisdom and grace. 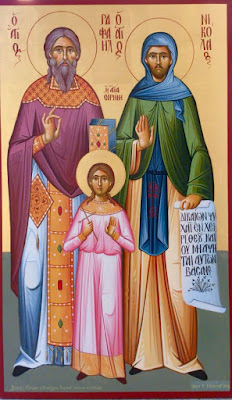 When still very young, Dymphna, like so many other nobel Irish maidens before and after her, being filled with fervor and love for Jesus Christ, chose Him for her Divine Spouse and consecrated her virginity to Him and to His Blessed Mother by a vow of chastity. With all speed, therefore, she set out for the continent, accompanied by Father Gerebran, the court jester and his wife. After a favorable passage, they arrived on the coast near the present city of Antwerp. Having stopped for a short rest, they resumed their journey and came to a little village named Gheel [or Geel]. Here they were hospitably received and began to make plans for establishing their future abode at this place. The remains of St. Dymphna were placed in a small church dedicated to her at Gheel which was destroyed by fire in 1489. In 1532, another church was erected on the site, much more magnificent than the previous one, which still stands today. The relics of St. Dymphna are kept within this church in an ornate silver reliquary (pictured below). Her veneration rapidly spread all over Europe, and she became the patroness of the mentally ill, of epileptics and of abused children. The following Saints are also noted to work many wonders and greatly help those afflicted with mental illness, and other afflictions: St. Anastasia (October 12), St. Gerasimos of Cephalonia (more specifically, the possessed) (August 16), St. Naum of Ochrid (June 20), and St. Ephraim of Nea Makri (May 5). Hours of operation: Daily, after communication with the Monastery. The Monastery honors the Dormition of the Theotokos, and was founded in the 12th century, according to a document which mentions the Monastery and which is dated to the 12th century, in the National Library of Athens. 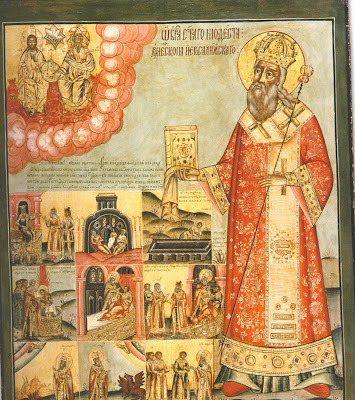 The Monastery liturgized non-stop until 1822. During the period of the Greek Revolution, it was one of the most important national and relogious centers of the region. It was here that the actions of chief Karatassos were developed, and it was here, unfortunately, that the Turks authorities were successful in dealing with them. 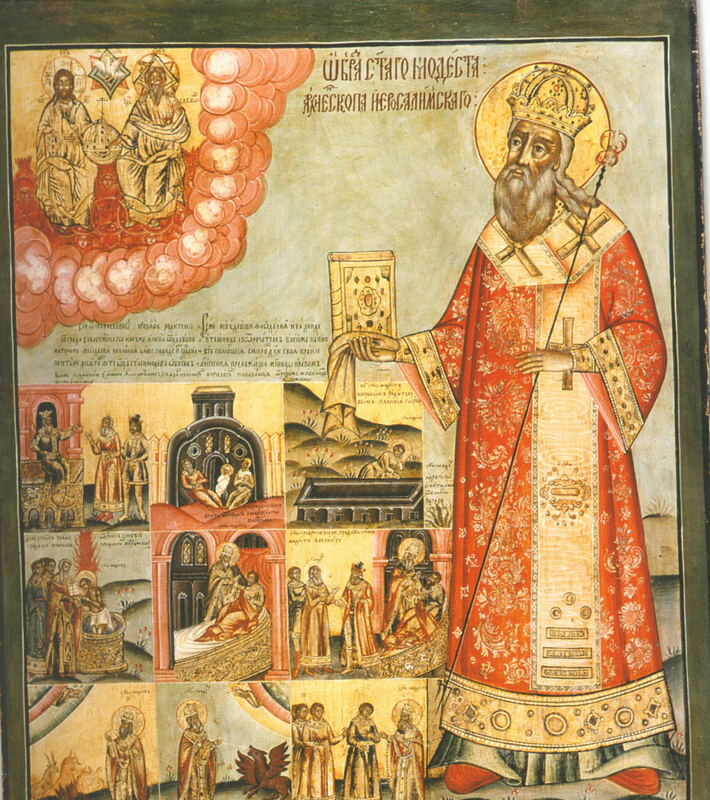 The Monastery was burned in 1822, and her abbot, Hieromonk Gerasimos, was hung. The Katholikon which remains to this day was built in 1844. The Monastery was reformed in 1995 as a Cenobitic Monastery for Men. In the area of the Monastery also are the ecclesiastical camps and educational center of Byzantine Arts (iconography, mosaics, woodworking, and preservation). 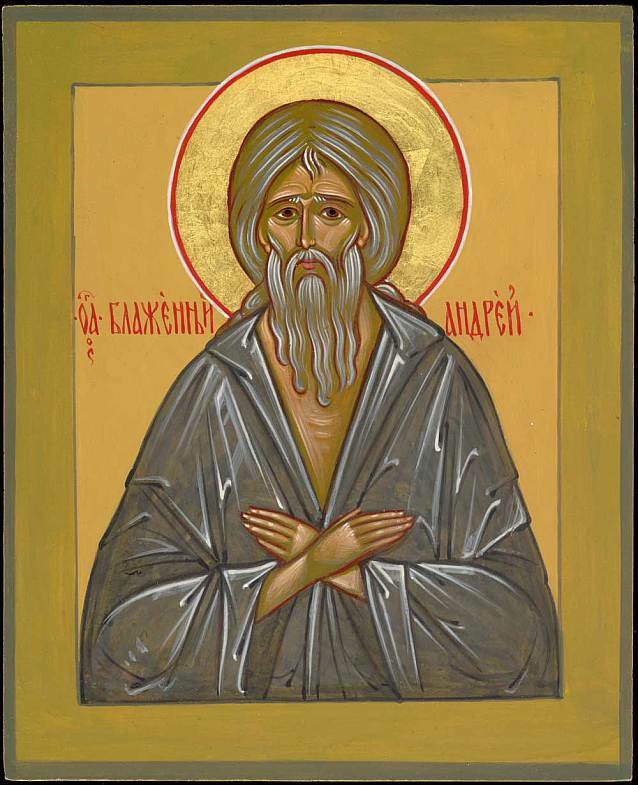 In the year 2005, the brotherhood of the Monastery became acquainted with the newly-revealed Saint of the Russian land, St. Luke the Surgeon and Wonderworker, the Bishop of Simferopol. 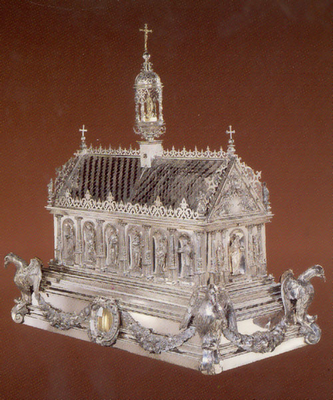 The holy Monastery preserves a portion of the Holy relic of the Saint. The many miracles and the palpable presence of the Saint in the Monastery and in the surrounding region immediately made the Saint known, and at the initiative of Metropolitan and through the support of pious Christians, was founded the first large church in honor of St. Luke the Surgeon, at least in Greece, on the grounds of the Holy Monastery. 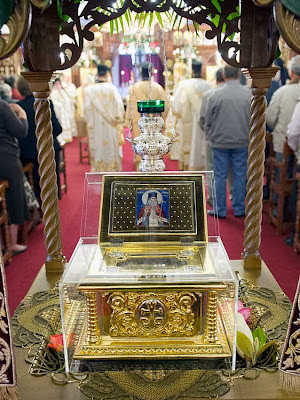 Every Saturday Divine Liturgy is served, and every Tuesday evening Vespers and Paraklesis is served in the Holy Church of the Saint under construction, and each of the faithful has the opportunity to venerate his grace-flowing relics. Pictures from the Monastery of Panagia Dobra: http://www.flickr.com/photos/59101994@N04/sets/72157625967144798/with/5412528153/. Video on the Monastery of Panagia Dobra: http://www.youtube.com/watch?v=UhVf9gRcyF0. For another video, showing the Feast of Zoothochou Pigi at the Monastery, see: http://www.johnsanidopoulos.com/2011/04/video-feast-of-panagia-dobra-in-beroia.html. An eight-year-old son of a physician of the region broke his hand in an accident. The radiographs showed many fractures along the length of the bone. In the first attempt, the physicians and friends of the child's father placed his hand in a splint, until they could attempt further therapeutic interventions. They did not advise surgery without warning of deformity of the hand. The family learned of the wondrous healings of St. Luke from one of their relatives. 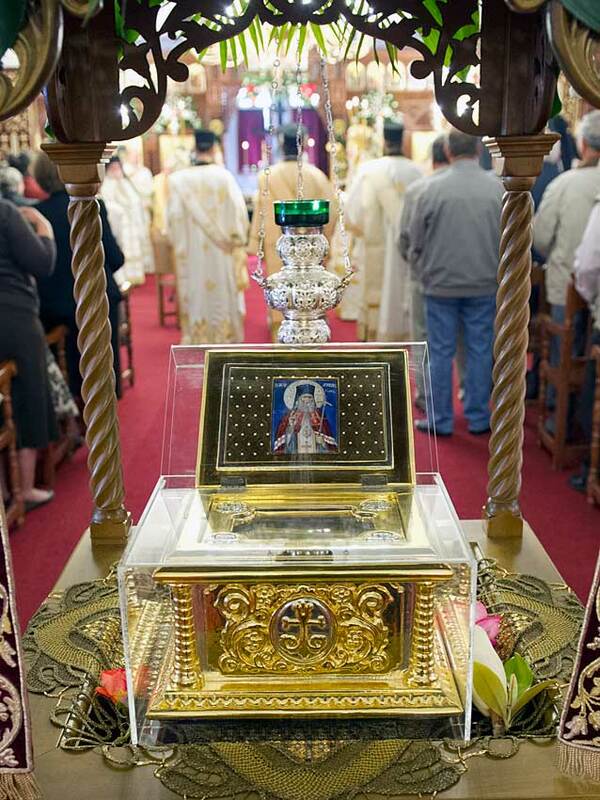 Immediately, the child asked his father to venerate the relics of the Saint. When they crossed the injured hand of the child with the holy relics, he felt a burning sensation, and moving of the bones beneath the sprint, the sound of which was of course perceived by the child himself. The immediate sensation of the uniting of the traumatized bones was enough to prove to them, while that X-rays confirmed later, what was certain in the soul of the young child: the miracle had occurred. Another time, a father of five children had a tumor appear on his shoulder. The pains were great, and the physicians suggest that he proceed with removal of the tumor surgically. Things became more worrisome when a second tumor appeared in the maxillary region. The hardening of the first tumor made the need for surgery more urgent. 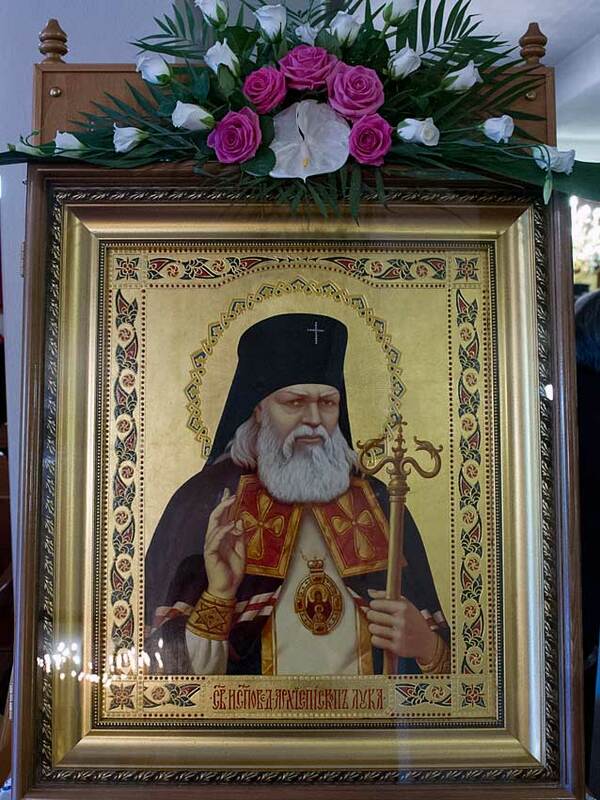 However, the pious father, together with his spiritual father, asked from the Abbot of Dobra Monastery to venerate the relics of St. Luke and to serve his Paraklesis. After several days, the following wondrous event occurred: At night, as he was sleeping next to his wife, he sensed a wetness on his pillow. He arose a short time later, and saw the pillow covered in blood. He brought his hand to his shoulder, and sensed that the tumor had disappeared. He woke his wife, and their astonishment became greater, as they observed at the location of the tumor, a small surgical incision. The second tumor had disappeared in the mean time, without giving any indication of his previous location. 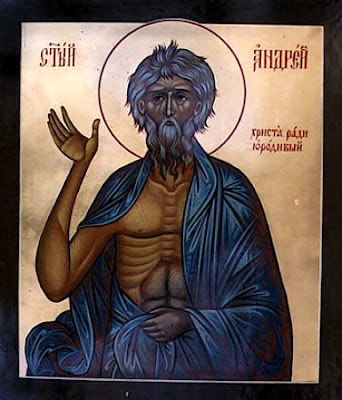 For the Paraklesis to St. Luke of Simferopol, chanted by the Fathers of the Monastery of Panagia Dobra, see: http://www.youtube.com/watch?v=lug3f_UEX7E. 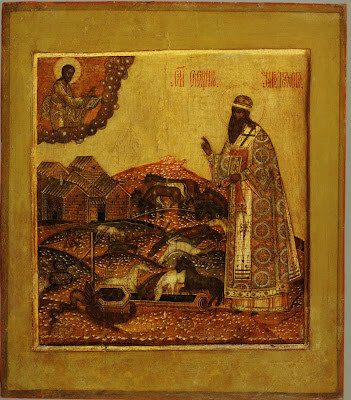 For the life of St. Luke the Surgeon, see: http://full-of-grace-and-truth.blogspot.com/2008/10/st-luke-archbishop-of-simferopol.html. Raphael, the wondrous Hieromartyr, with Nicholas and Irene let us hymn, who were richly glorified by the Lord. For in Thermi they appeared like stars for us, and ceaselessly shine with divine wonders for those who cry out: Rejoice, O Athletes of Christ. Rejoice, village of healers of Christ. 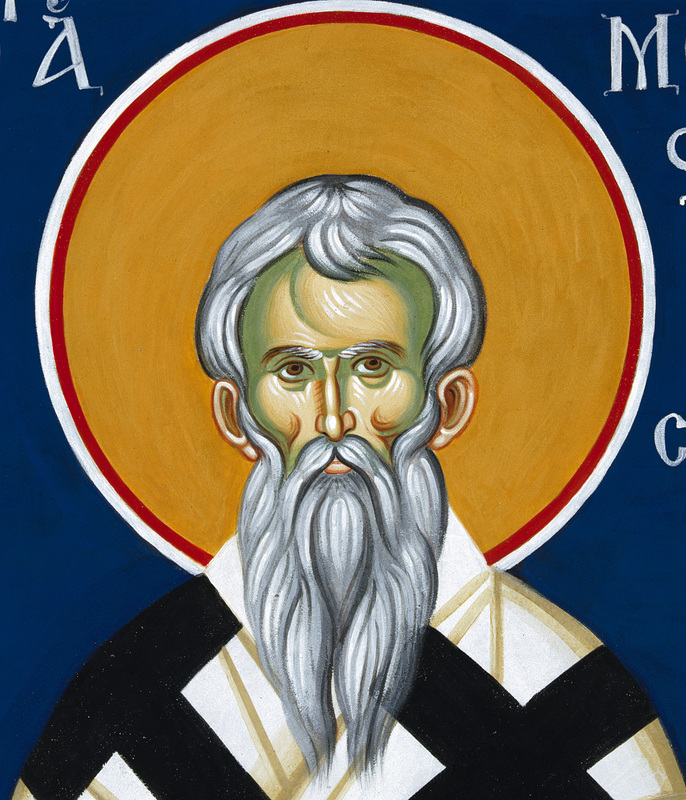 Rejoice, O victory-bearer, godly-minded Nicholas. Rejoice, O three-membered assembly, and athletic triad. Rejoice, boast and glory of the Orthodox faithful. Rejoice, godly boast of the faithful. Rejoice, equal in honor to all the Saints. Having a divine life, a shame to the faithless, you persevered with willing heart. And you were hidden for many years, until you were paradoxically revealed, O Athletes three in number, astonishing those who cry out: Alleluia. Rejoice, fall of the impious. Rejoice, you who shared the way of the Martyrs in all things. Rejoice, most-sure pillar of the godly-minded people. Rejoice, for you roused the world to joy. Rejoice, unassailable shelter of the faithful. Through power from heaven, you hearkened to the word of the Gospel of Christ, as full of the divine in-breathing, and you were made a great teacher, O all-famed Raphael, and roused us all to cry out: Alleluia. Rejoice, you who accepted all things with a godly mind. Rejoice, wondrous adornment of Champions. Rejoice, righteous Deacon of the Church of Christ. Rejoice, most-fragrant flower of incorruption. Rejoice, joiner of the choir of the Martyrs. Rejoice, most-speedy suffering of the enemy. 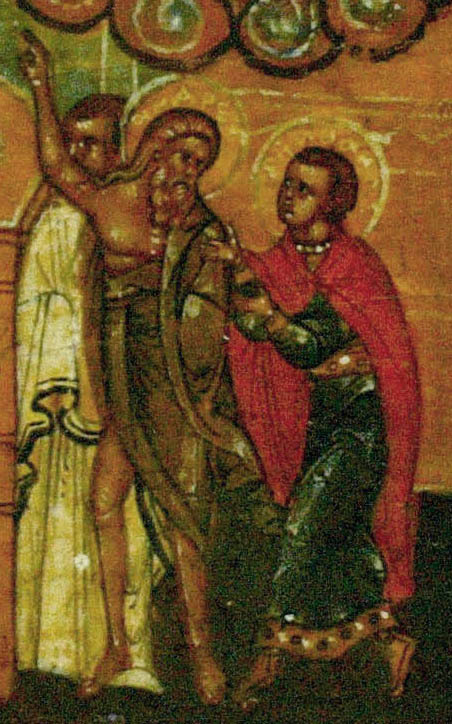 Having lived a godly life as a divine deacon, you endured the attack of the barbarians, and struggled well in Thermi, and athletically were glorified, O Nicholas, by Him Who strengthened you, and you, O Martyr, cry out with the Champions: Alleluia. Rejoice, casting down of evil. Rejoice, fellow-dweller with the holy Champions. Rejoice, two-edged sword against the haughtiness of the enemy. Rejoice, most-fragrant violet of virginity. Rejoice, you who were filled with bodiless Light. Rejoice, triumphant victory of the faithful. You were offered as a sacrifice, O Martyr, during the barbarian's siege, in a delicate body, and before your father, you endured a terrifying martyrdom, and were made worthy of a martyrs end, crying out: Alleluia. Rejoice, honored gift of Monastics. Rejoice, diagram of spiritual boldness. Rejoice, God-given support of the faithful in dangers. Rejoice, for you deflected the godless tyrants. Rejoice, igniter of many graces. Rejoice, stream of soul-befitting waters. 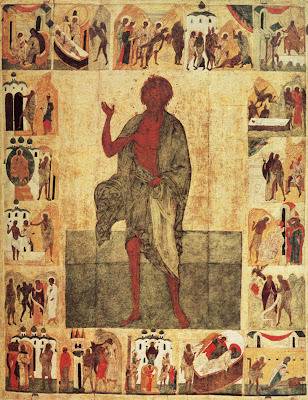 You came to be hidden in Thermi for many years below the earth, O God-bearer, but wondrously were made known to the faithful in visions and the working of signs, astonishing all through your wonders, for those who cry out: Alleluia. Rejoice, opponent of the deceiver. Rejoice, fall and unnerving of the evil enemy. Rejoice, for you magnified the word of the Lord. Rejoice, you who partake of the joy of the Saints. You traveled the road of martyrdom, O godly-minded one, and remained below the earth for many years in Thermi, O blessed Nicholas, until you were wondrously revealed. Therefore, we approach your relics, faithfully crying out: Alleluia. Rejoice,you who deposed the objections of enemies. Rejoice, noetic myrrh of the life of virginity. Rejoice, you who shared the same hearth as the noble Martyrs. Rejoice, you who commune with the holy Life. Estranging yourself from the things below, O blessed Irene, you joined the choirs of the Angels through completing the good fight with steadfastness, O comely virgin, and with Raphael and Nicholas, sing to the Lord: Alleluia. Rejoice, the glorious one among the Saints. Rejoice, you who were later revealed in a godly manner. Rejoice, you who hearken to the entreaties of all wondrously. Rejoice, for you were beheld by the worthy and godly. Rejoice, our protector and defender. Rejoice, divine adornment of Thermi. You were seen, O Father, to fulfill a multitude of entreaties, and to pour forth godly joy. Therefore, the faithful from every place gather around your relics in Thermi, hymning you, O Raphael, and crying to the Savior: Alleluia. Rejoice,, Martyr among the Champions. Rejoice, sharer in the glory of all the Saints. 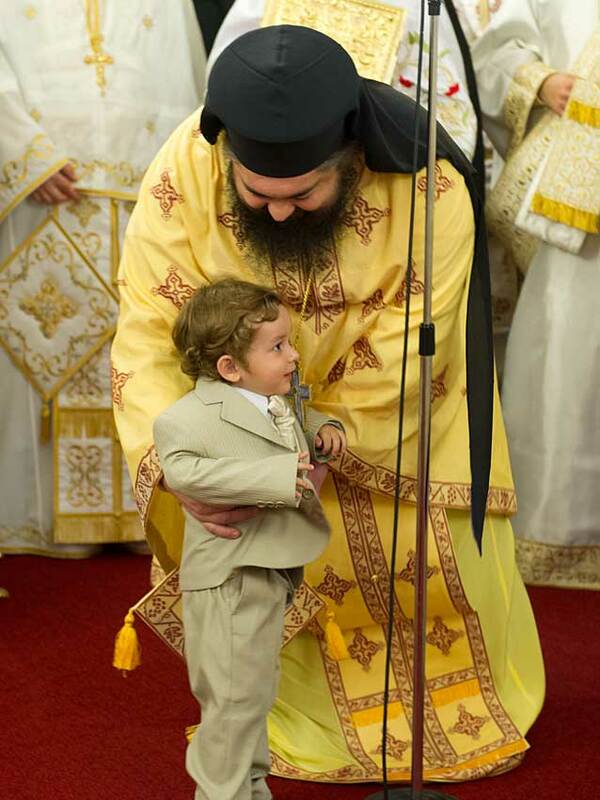 Rejoice, foundation and support of pious Christians. Rejoice, for you bestow life on those who honor you. Rejoice, you who enlighten the minds of the faithful. 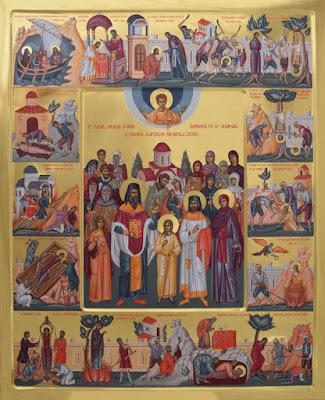 Fellow-dweller with the Angels and the Martyrs, you were granted to be, together with Raphael and Irene, O Martyr of Christ Nicholas, and with them, ever entreat that we be delivered from dangers, who cry out with one voice: Alleluia. Rejoice, flowering of comely virgins. Rejoice, heavenly aroma of athletic grace. Rejoice, for you fought the great haughtiness. Rejoice, sacred and holy seal. Rejoice, radiant lamp of incorruption. 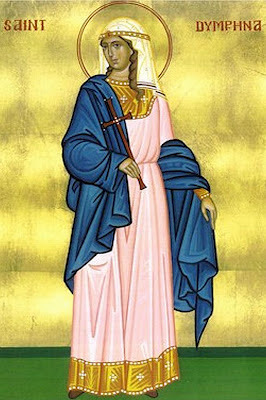 We hymn your struggle, O Martyr and Champion Irene, with hymns of victory, for with a delicate body, you deposed the ancient dragon, and were crowned by the Lord with the diadem of victory, as you chant: Alleluia. Rejoice, you who censure every impiety. Rejoice, band gathered by God to be the guides of the faithful. Rejoice, God-bearing choir of divine Martyrs. Rejoice, most-honored lights for the faithful. Hail, Irene, the beauty of womanhood. 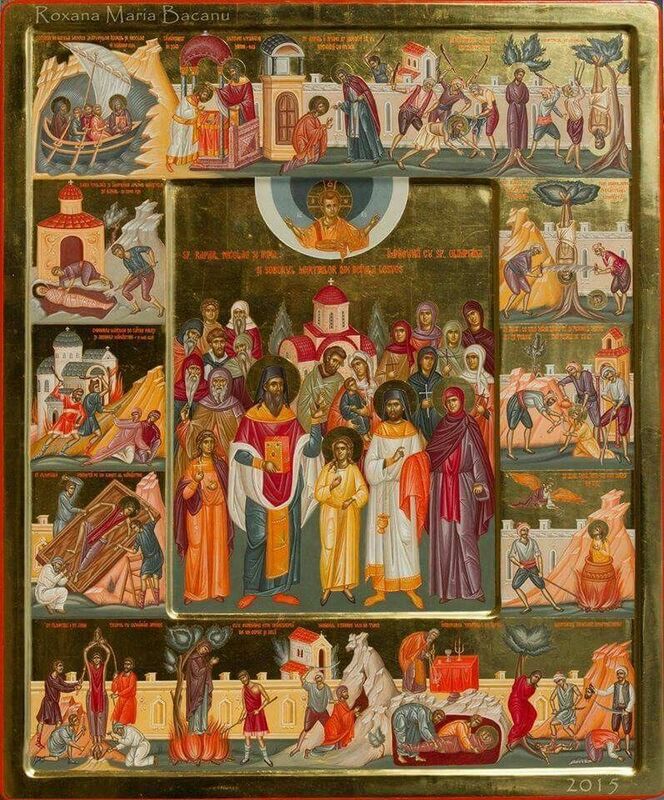 Rejoicing in the heights, Raphael and Irene, together with the divine Nicholas, and all those of Karyes, through your martyrdom, you shamed the enemy. Intercede for all of us who cry out: Alleluia. Rejoice, you who were joined with the Angels. Rejoice, victorious and godly-minded Nicholas. 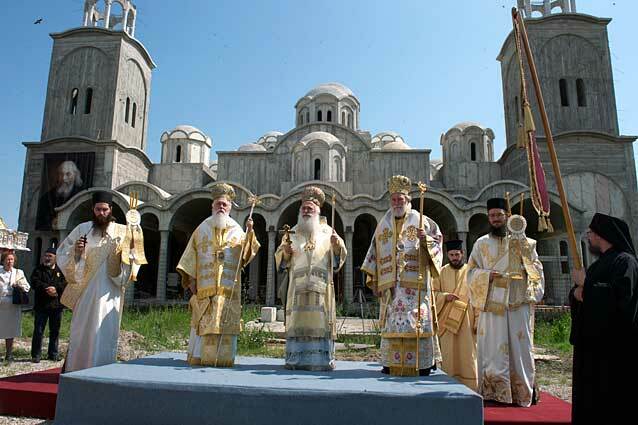 Rejoice, gathering three in number of protectors of Mytilene. Rejoice, tripling of victorious Athletes. Rejoice, three-membered band of Martyrs. Rejoice, gathering of three Champions. O blessed triad of noble Champions: Raphael, Nicholas and Irene, ever intercede to the Holy Trinity, that at our end, we be granted the things above, we who cry out: Alleluia. For the life and revelation of Sts. Raphael, Nicholas and Irene, see: http://full-of-grace-and-truth.blogspot.com/2012/04/sts-raphael-nicholas-and-irene-newly.html. Andrew had a most beautiful vision of Paradise and the exalted powers of heaven. 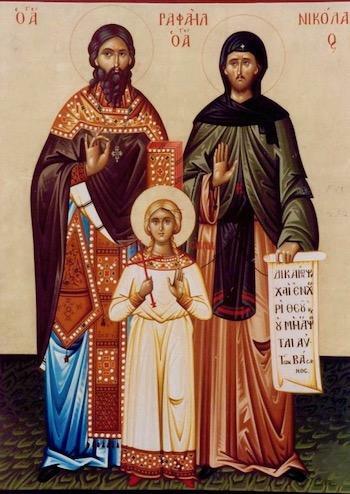 He also saw the Lord Christ on His throne of glory; and he, with his disciple Epiphanius, saw the Most-holy Theotokos in the Church of Blachernae as she covered the Christian people with her omophorion. 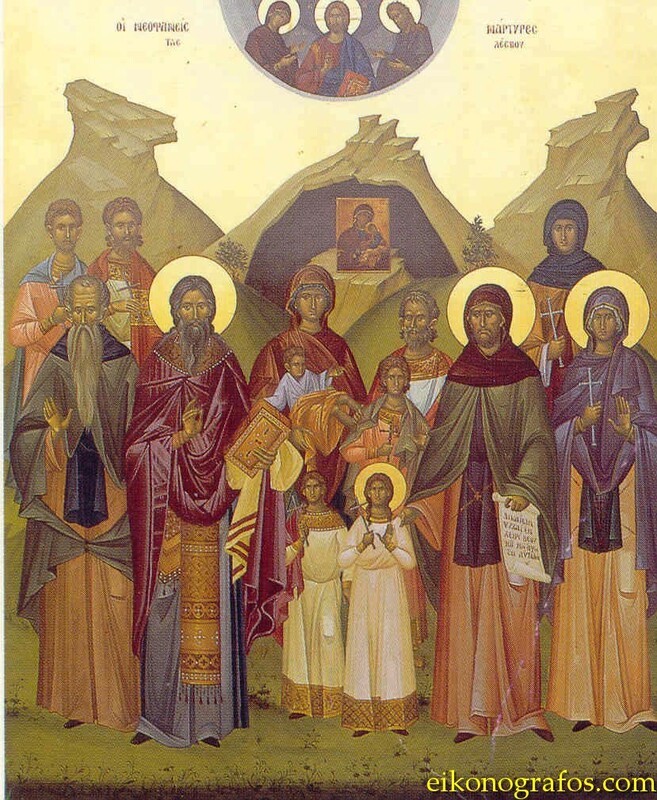 This occurence is celebrated as the Feast of the Protection of the Most-Holy Theotokos (October 1). In a vision he also heard ineffable, heavenly words that he dared not repeat to men. Once, St. Andrew was sitting with his disciple Epiphanius, talking about the salvation of the soul. Just then, a demon approached Epiphanius and began setting traps to distract his thoughts, but did not dare to approach Andrew. Andrew cried out: "Depart from here, impure adversary!" The devil drew back and replied maliciously: "You are my adversary, such as no other in all of Constantinople!" Andrew did not drive him away immediately, but permitted him to speak. And the devil began: "I feel that the time is coming when my work will be finished. At that time, men will be worse than I, as children will be even more wicked than adults. Then I will rest and will not teach men anything anymore, since they themselves will carry out my will in everything." Andrew asked him: "In what sins do your kind rejoice the most?" The devil replied: "The service of idols, slander, malice against one's neighbor, the sodomite sin, drunkenness and avarice-in this we rejoice the most." Andrew further asked him: "And how do you tolerate it when someone who first served you rejects you and your works?" The devil replied: "You know that better than I do; we find it difficult to tolerate, but we are comforted by this: we will probably bring them back to us-for many who have rejected us and turned to God have come back to us again." After the evil spirit had said this and much more, St. Andrew breathed on him and he disappeared. 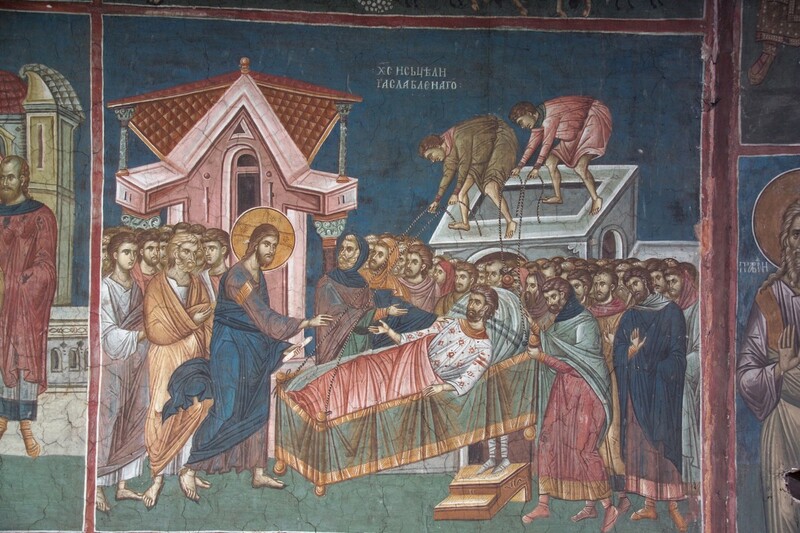 Holy Andrew, walking one day along the streets of Constantinople, saw a great and splendid funeral. A rich man had died, and his cortege was magnificent. But when he looked more closely, Andrew saw a host of little black men capering merrily around the corpse, one grinning like a prostitute, another barking like a dog, a third grunting like a pig, a fourth pouring something filthy over the body. And they were mocking the singers and saying: "You're singing over a dog!" Andrew, marveling, wondered what this man had done. Turning round, he saw a handsome youth standing weeping behind a wall. "For the sake of the God of heaven and earth, tell me the reason for your tears", said Andrew. The young man then told him that he had been the dead man's guardian angel, but that the man had, by his sins, greatly offended God, casting his angel's counsel from him and giving himself over utterly to the black demons. And the angel said that this man was a great and unrepentant sinner: a liar, a hater of men, a miser, a shedder of blood and a dissolute man who had turned three hundred souls to immorality. In vain was he honoured by the Emperor and respected by the people. In vain was this great funeral. Death had caught him unrepentant, and the harvest had come without warning. 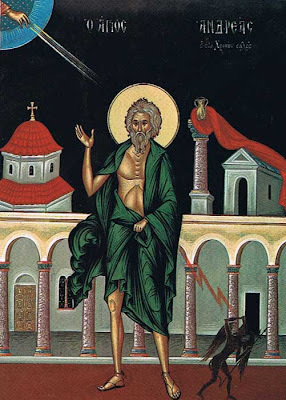 The full service to St. Andrew the Fool-for-Christ (in Greek) is available here: http://voutsinasilias.blogspot.com/2009/05/28.html. Note: Thanks to information from Fr. Gregory, I have come to understand that there are two Saints Modestos, Bishops of Jerusalem that are honored by the Church. 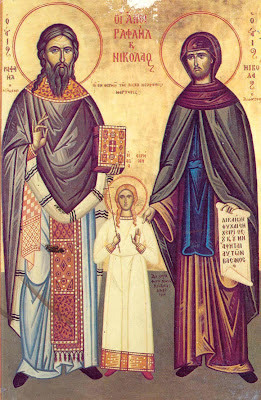 The first was born in Sebastea in 298AD, and the second reposed in the Lord in 634AD. The life of this second Saint Modestos is included below, along with the prayer to Christ for the health of animals, written through his voice (by St. Nikodemos). Saint Modestus, Archbishop of Jerusalem, was born into a Christian family in Cappadocian Sebasteia (Asia Minor). From his youth he felt a strong attraction towards strict monastic life. St Modestus accepted monastic tonsure. Afterwards, he became head of the monastery of St Theodosius the Great in Palestine. At this time (the year 614), military forces of the Persian ruler Chosroes fell upon Syria and Palestine, killing ninety thousand Christians and destroying Christian churches. 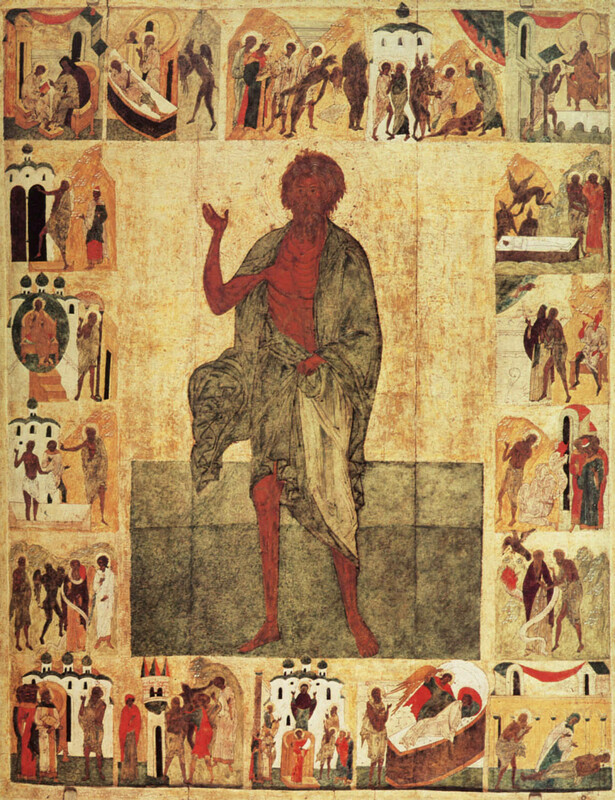 Patriarch Zacharias of Jerusalem and a multitude of Christians were taken into captivity, along with the Cross of the Lord. St Modestus was entrusted to govern the Jerusalem Church temporarily as locum tenens of the patriarchal cathedra. 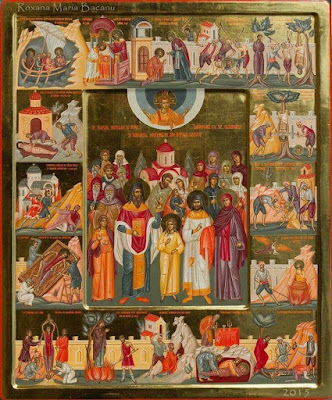 With the help of Patriarch John the Merciful of Alexandria (November 12), St Modestus set about restoring devastated Christian shrines, among which was the Sepulchre of the Lord. He reverently buried the murdered monks from the monastery of St Sava the Sanctified. 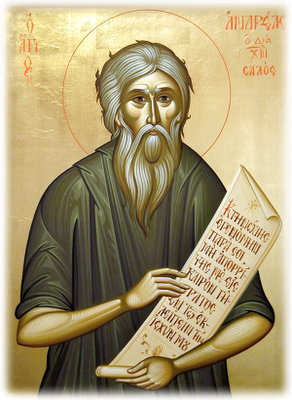 After fourteen years, Patriarch Zacharias returned from captivity with the Cross of the Lord, and after his death St Modestus became Patriarch of Jerusalem. 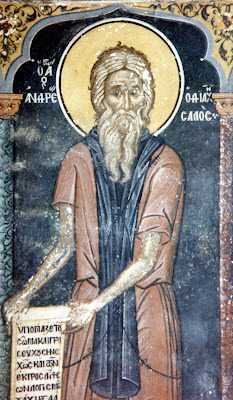 St Modestus died at age 97 in the year 634. One night, the woman saw the Saint in a dream, who asked her why she was weeping so, and revealing to her that he was the Modestos that she was seeking, and that he had heard her prayer, and had come to heal her oxen! He advised her to cut off a portion of her iron tools, and to go to a place called "Lagenas", where there was a Church of the Archangel Michael. There, in front of the Church, there lived a good artist named Eustathios, and with her iron, he would make a cross that she should bring to her home. In the morning, when the priests would be serving liturgy, she should take the cross, dip it in some oil, and anoint her oxen straightaway in the name of Christ, and this supplication would heal them from their sickness. The woman did as the Saint advised, and her oxen were healed, and again she was able to work without any problem, while all gave glory to God, Who gave such Wonderworking power to His servant Modestos. Since then, the art of the faithless and magicians could not affect the houses of faithful Christians, for they could not approach the wondrous power of that Cross. And even today, whoever celebrates the memory of Saint Modestos with faith, preparing a cross as mentioned above, his animals remain unharmed, through the Grace of our Lord Jesus Christ, from every diabolic energy and danger by men. 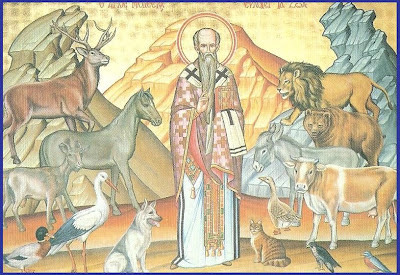 Note: The following prayer (similar to those of St. Mamas (also for animals) and St. Tryphon (for gardens) are said by the Priest following the Blessing of the Water service, specifically for those whose animals are sick or in any kind of danger. It is a beautiful prayer, and as I had mentioned previously, we can see the humility, faith and love of the Fathers, who would always take refuge in the Lord in every need or trial in their lives (and if livestock were one's means of sustenance, as was demonstrated above, then this truly becomes a great need indeed). May Christ heal all of His creation that suffer throughout the world, through the prayers of His Saints. Amen. O Lord Jesus Christ my God, Who are merciful and All-good, Who in wisdom created every visible and invisible creature, Who pours out His compassions upon all that He has created, Who through Your all-good Providence foresees and troubles over for all Your creatures: bodiless, physical, rational, irrational, soul-bearing, soulless, from the first to the last. For nothing is not foreseen by You, neither is anything abandoned by You, the Creator and Foreseer of all. For You are He Who opens His hand, and fills all living things with goodness. You are He makes grass to grow for the cattle, and green herb for the service of men. You are He Who once, through the herd of Israel, preserved them from above from the fatal wound of the first-born of the Egyptians. You are He Who, through the compassion of Your incarnation, deposed he who had the might of death: that is, the devil, and by Your death, You put death to death. You are He Who, through myself Your unworthy servant, puts to death the serpent, that Your spring of water might not be corrupted. Those that drink from it, both the living and the dead, through Your life-giving power, you resurrect. And if a demon draws near to it, and prepares to make itself apparent, seize it, that it might never dare to approach the place in which, I the sinner, call upon Your name. 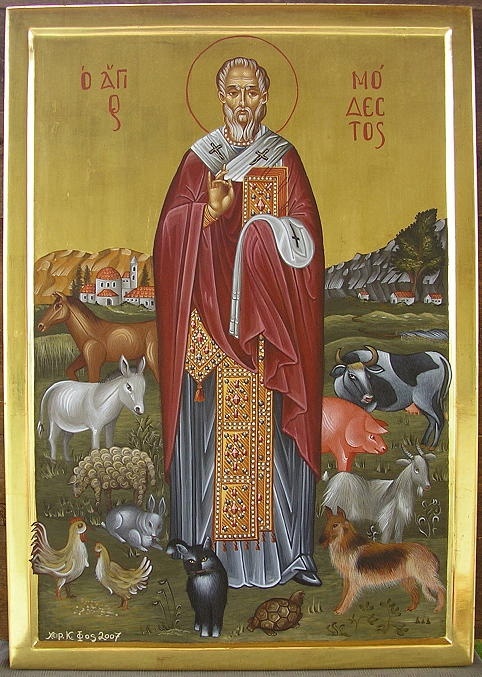 To You, therefore, I pray, O All-good Master and Creator of all, and I entreat You, the cause of all life, hearken to this my entreaty, and drive away every fatal sickness and danger from the oxen, horses, donkeys, mules, sheep, goats, bees, and any other animals in true need to the life of Your servants who call upon You, the giver of every good, and of my name. And grant, O Lord, to all those who celebrate my name, and with faith hasten to my relics, permanent peace, multiplication of animals, uncorrupted wheat, wine and oil, and above all, remission of sins, health of bodies, and eternal salvation of souls. Yes, O Lord Jesus Christ, for the descendants from Your very loins, grant compassion on the suffering animals, whose herd is being afflicted by the sickle of death. And not having any word besides bleating, and bitter and random noises, in Your mercy, take away their passion and suffering. For if You even call rational beings to this sympathy: "A righteous man has compassion upon his animals", as is written, how much more do You show compassion on these, Who are their Creator and Foreseer? For You, O compassionate, preserved the animals in the Ark, as Your goodness and compassions won out. That by the wellness and multiplication of the oxen, and the remaining four-legged animals, the earth might be worked, and fruit might be harvested, and Your servants who call upon my name might be preserved without any corruption, and partake of their very harvest. And that these, having all things that are necessary, might be increased in every good work, and glorify You, Who grants every good thing. And grant me me also, Your servant and most-fervent entreater, the honor of Your all-governing Kingdom, for to You belong all glory, honor and worship, with Your beginningless Father, and Your All-Holy and good and life-giving Spirit, now and ever, and unto the ages of ages. Amen. 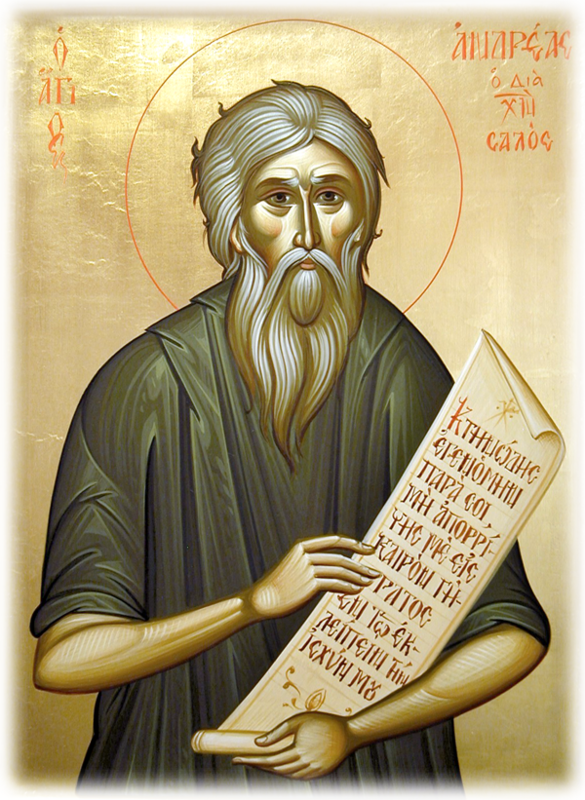 Through the demonstration of your divine works, you gladdened everyone, and you enriched holy Sion with the radiance of the Apostles, and you righteously served the Savior as a priest, and lived a radiant life as a hierarch. O Father Modestos, entreat Christ God, that He grant to us the great mercy. 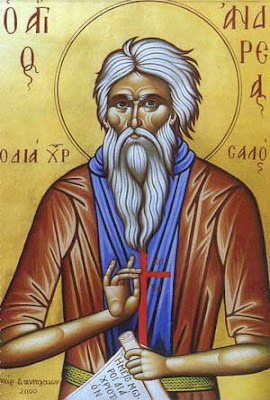 You were shown to be a Hierarch among the righteous, O Father, and you served Christ as a priest on Sion as an angel, therefore, you were glorified, O Modestos, adornment of Patriarchs. 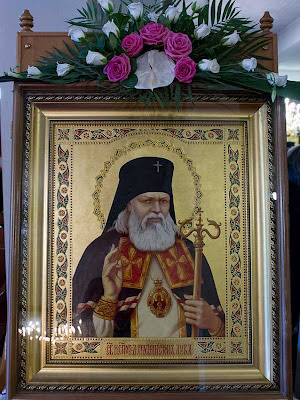 Hail, O radiant star of the Church, and divine protector of holy Sion, hail, O God-bearing hierarch Modestos, our most-fervent intercessor towards the Master.